DNA Test in Junagadh Gujarat can now be ordered on the phone. Catering to the needs of people, DDC Laboratories India has opened up collection center for its prestigious clients all over India and abroad. DNA test can be done for Infidelity, identification of dead bodies, peace of mind, ancestral findings, adoption and many more. We do immigration DNA tests for countries like the UK and others in case of immigration applications that need DNA test results to check relationships between the petitioner and the beneficiary for visa purposes. DDC laboratories India (DDC) is the leader in DNA testing services in India and is affiliated to DNA Diagnostics Center Inc. USA, the world leaders in providing AABB accredited DNA testing services. We provide expert advice and support in all aspects of DNA testing including paternity, maternity, siblings, ancestry, DNA reconstruction, genetic profiling, and forensic consultancy. 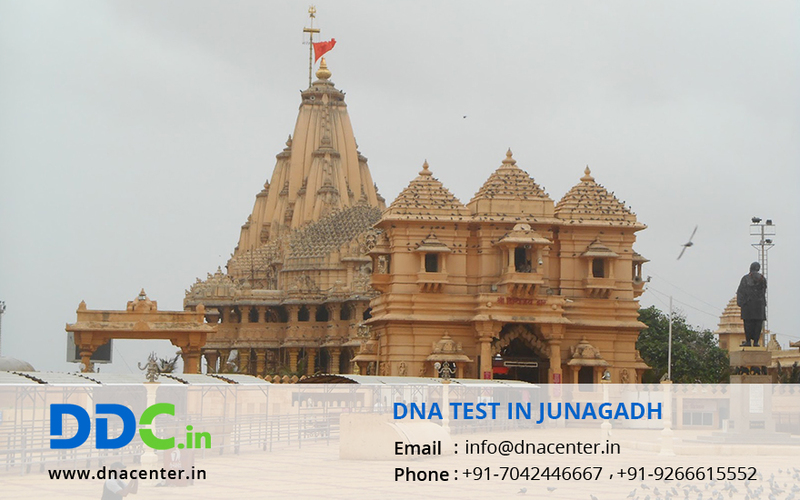 For any type of DNA Test in Junagadh Gujarat, please fill the below form and our executive will contact you. You can also give us a call to make an appointment or for any queries at +91 7533008488.